In many parts of the country, FEMA uses trailers as temporary housing to help families displaced by a disaster. In the wake of Irene, the agency is trying a new approach that it says is better suited to New England. FEMA has renovated an old apartment house in Barre and made it available rent-free to people who lost their homes to the August flooding. Ann Marie Bolton had considered her mobile home at Weston Trailer Park in Berlin temporary – until she could save up to buy a wood-frame house. She owned the trailer outright when it was destroyed by Irene. She’d paid for it the hard way – with the money she earned as a Vermont Guard soldier deployed to Iraq in 2004 and 2005. "So, while everybody was watching their house float away, I was watching everything that I fought for float away," Bolton said Wednesday. After renting an apartment in the months following Irene, Bolton and her 14-year-old daughter now have a chance to regroup and save up for a house, thanks to a FEMA pilot project that has never been tried before in New England and only once elsewhere. The agency spent about $70,000 to renovate an old building in Barre. The occupants of the five apartments all lost their homes to Irene. They can stay rent free for most of the next year. Bolton’s roomy apartment is filled with donated furniture from her family. It’s a stop along the way to the permanent home she dreams of. "The apartment life is really not for us," she said. "It’s nice because you get to know your neighbors and you’re really close-knit, but its nothing like having your own four walls." Upstairs there’s another freshly renovated apartment occupied by Steve Cutlip, a 67-year-old veteran of three tours in Vietnam. Cutlip says he doesn’t know what he’ll do in the future, but this apartment gives him a chance to size up his options. "This opportunity arose and I couldn’t pass it up," he said. " It’s a place to come to to get back on my feet. What can I say? They’ve offered me quite a bit." The City of Barre, the state and non-profits all played a part in helping the project come together. But it’s unclear if there will be others like it, given the tight market for affordable rental housing in Vermont and the requirements of the program. "This was more of a pilot to see how it fit our region," said Albert Ferri of FEMA. "There’s certain criteria that the building has to meet. We had to search pretty hard." As the apartments’ current residents move into more permanent housing, Ferri says the agency will move other displaced families into the building. FEMA is currently providing rental assistance to about 45 other families in Washington County who lost homes to Irene. The building’s landlords say they’re happy with the arrangement, even though they won’t be getting any rent for some time. For them, the money the government put into renovating the building is worth it. 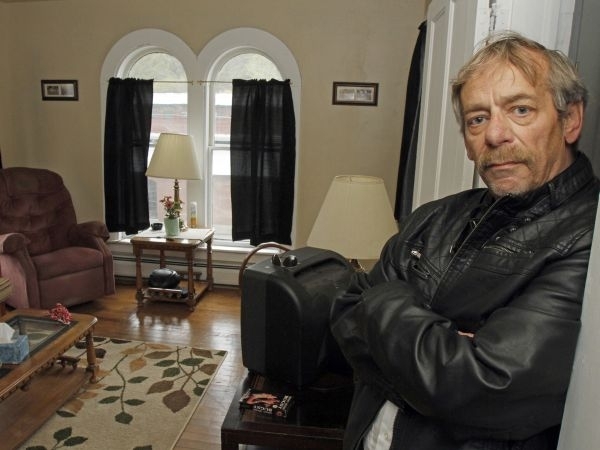 The Vermont State Housing Authority is going to stop adding names to its waiting list for Section 8 housing, and we examine the factors that have contributed to this situation. Also, an update on the general election and how the campaigns spent the holiday weekend. And we begin a four-part series on the life of a Vermont soldier in Afghanistan. The Obama administration awarded $1.4 million today to the Vermont Housing Finance Agency.